Not all snowmen are made of ice. 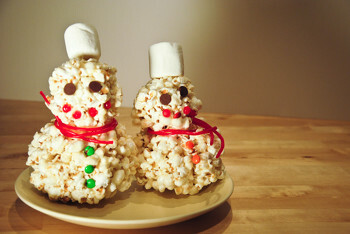 This popcorn snowman tastes like the holiday season and also makes a cute decoration on any dining table. 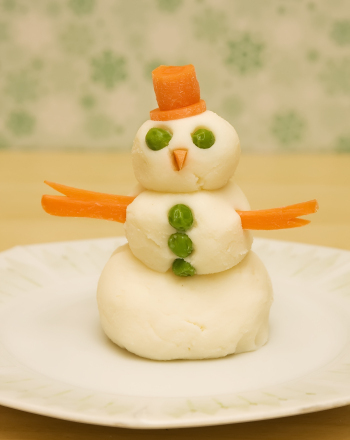 It’s a no-bake activity that kids will love personalizing any time of year—no snow required. In the end, you’ll have a healthy snacktime favorite. Help your child melt a bag of marshmallows in a pan on low-medium heat, stirring often. Add the vanilla to the melted marshmallows and let it stand for five minutes. 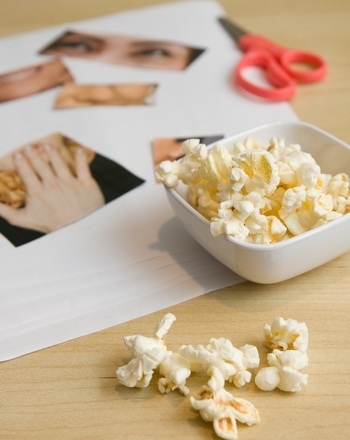 Fill a large bowl with the popped popcorn and pour the marshmallow mix over the popcorn. Let your child stir it well with a wooden spoon to coat all of the popcorn. Your child can now butter her hands and form the popcorn into one large ball for the body and one small ball for the head. Put the small ball on top of the large one. Continue to create snowmen bodies until you run out of popcorn. Press M&M’s into the popcorn for eyes and buttons. Add Red Hots for the mouths. Wrap red licorice whips around the snowmen’s necks as scarves and top off your snowmen with a giant marshmallow hat to keep them warm! 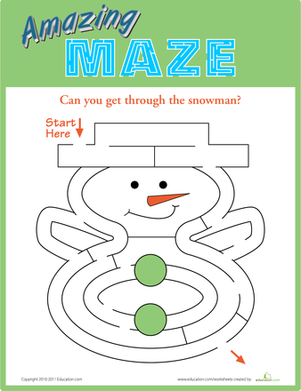 This snowman to color is perfect for a chilly winter afternoon. 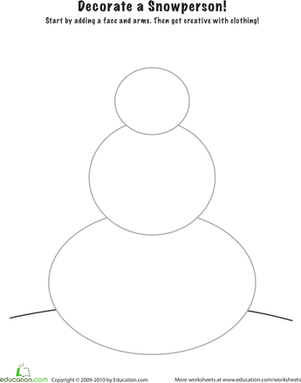 Decorate this snowman to color with red and green crayons. This blank snowman card will let your child practice his writing skills this winter. 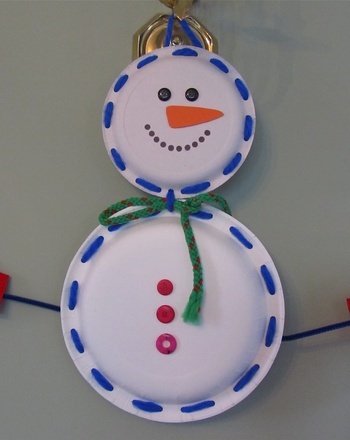 To get your child into the spirit of winter and the holiday season, print out this fun snowman decoration activity and let her imagination run wild. 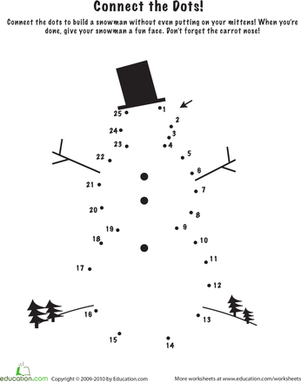 Get into the holiday spirit with a jolly snowman coloring page! Bring out the crayons and give this happy guy some Christmas colors. 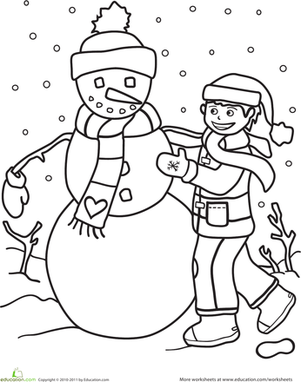 This cute winter coloring page features a waving snowman. Amp up the holiday cheer and decorations by letting your child color this Christmas printout.